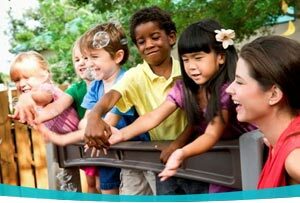 The Mystery Bag is a versatile and essential material in the early childhood and lower elementary Montessori classrooms. The Mystery Bag is simply a bag (or box) in which the Montessori teacher places objects that the students cannot see. The students then use their sense of touch to explore the object without removing it from the bag. Eventually, depending on the lesson, the students or the teacher will reveal the object. It can help to develop the sense of how things feel (stereognostic sense) and refine all of the senses overall. It stimulates and cultivates the student’s intellectual curiosity and has endless options for use in the classroom (i.e., the type of bag or box used, the items placed in the bag, the curricular area being taught). 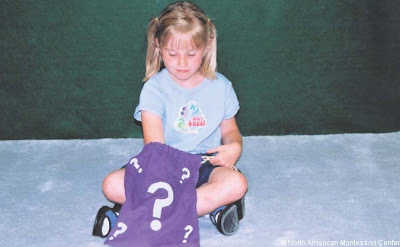 Even a toddler will enjoy exploring objects and vocabulary with the Mystery Bag material. In the Montessori early childhood classroom, one lesson idea for the Mystery Bag begins with the teacher placing objects in the bag, such as a large sea shell, a piece of coral, and a sand dollar. Though related, the objects are different in texture, size, etc. The student is shown the objects before they are returned to the bag. The student is then asked to find the object that is smooth, large, etc. The Mystery Bag can also be used to reinforce the geometric solids from the sensorial area in the Montessori classroom. A student can close her/his eyes and be asked to find a particular geometric solid from the bag. Montessori students could do this with the teacher or with another student. A Montessori teacher can also place objects related to current studies in the bag. For example, the objects listed above (a large sea shell, a piece of coral and a sand dollar) could be used while the students study ocean life in the geography curriculum. Language can also be explored with the Mystery Bag. In an early childhood classroom, students may take turns feeling an object in the bag (without removing it), and describing it to others. An advanced student could record this work on lined paper. 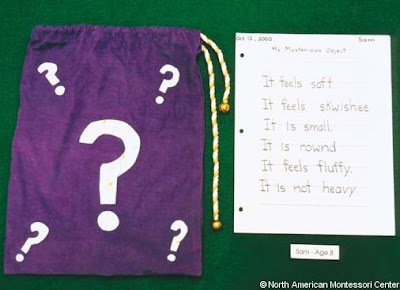 A variation to this would be for students to take turns taking the Mystery Bag home, and choosing an object based on a theme chosen by the teacher (e.g., it could be an item that begins with the letter "A", and continues with each child through the alphabet). The student would write clues and bring the Mystery Bag bag to school with the object and clues to present to their classmates for guessing what's in the bag. In the Montessori lower elementary classroom, this activity may be presented as a way to practice adjectives. Students may record short, descriptive sentences about their mystery objects. Once you begin to explore the Mystery Bag, you will find infinite possibilities for ways to use it in the Montessori classroom! 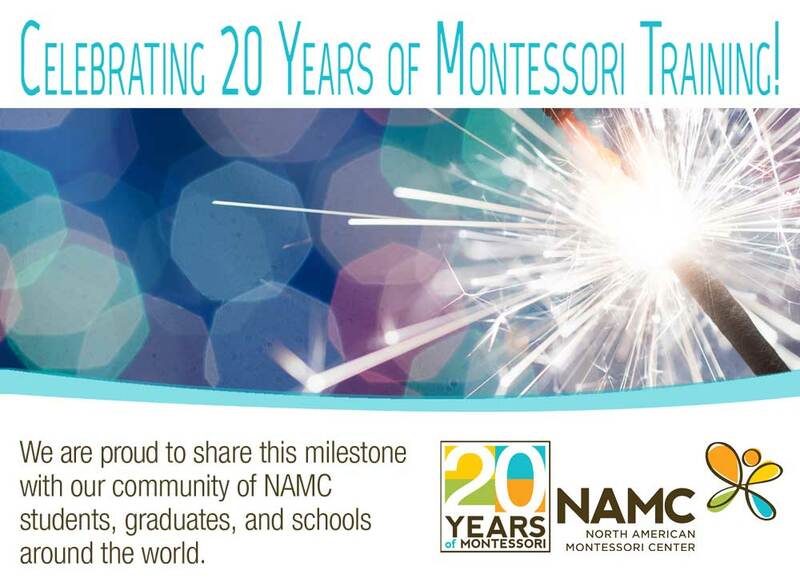 © North American Montessori Center - originally posted in its entirety at Montessori Teacher Training on Friday, June 5, 2009. Thank you - I have been thinking of ways to extend the mystery bag but I had never considered betong the kindergarten age group before. Thank you for reading the blog. I'm glad that you found some ideas that you could use in your classroom! Great activitites! Where can I but a mystery Bag?